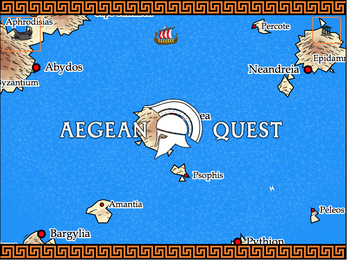 Aegean Quest - battle ancient mythical creatures and hunt for treasure, while sailing around a completely unique, random and fictional Greek archipelago. 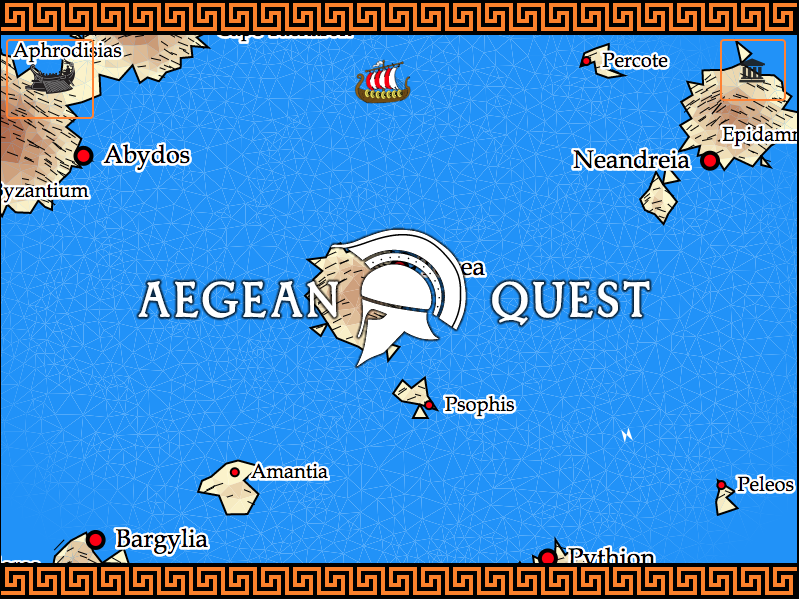 A game in 3 weeks for Greek MytholoJam, December 2017. 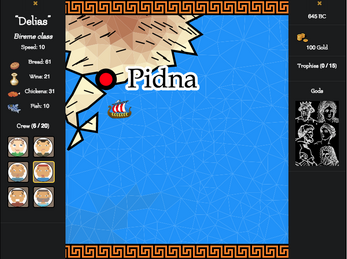 This project is not fully polished yet, but most of the content and game mechanics are in place. Future releases will include trading, more control over stats and men, sea events, ship upgrades, rival ships, and more. 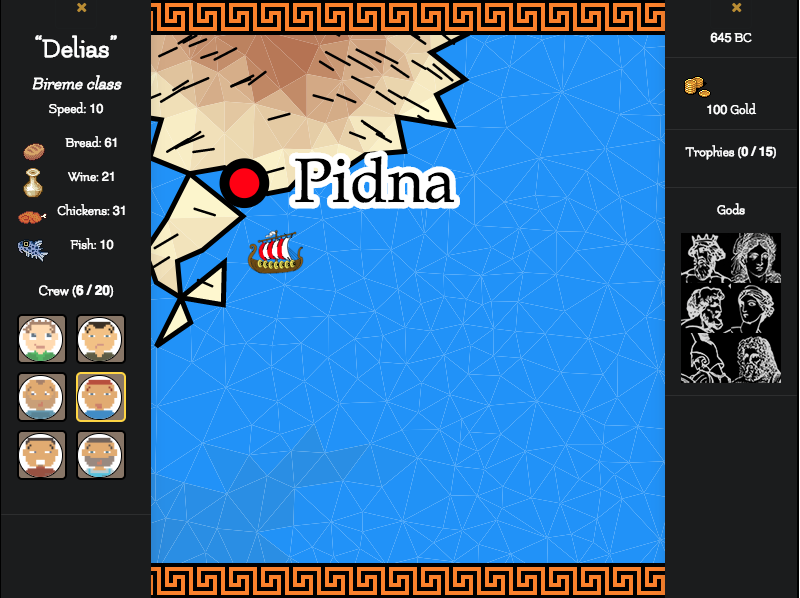 Controls - mouse click or tap on sea or towns. Note: generating a new game map takes at least 5-10 seconds on a modern processor. Please be patient! There isn't a save feature and if the page is refreshed a previous map can't currently be restored. But anyway, this is a casual game... I don't think you will need such a feature. Please leave feedback below if you'd like to see further development of this concept.